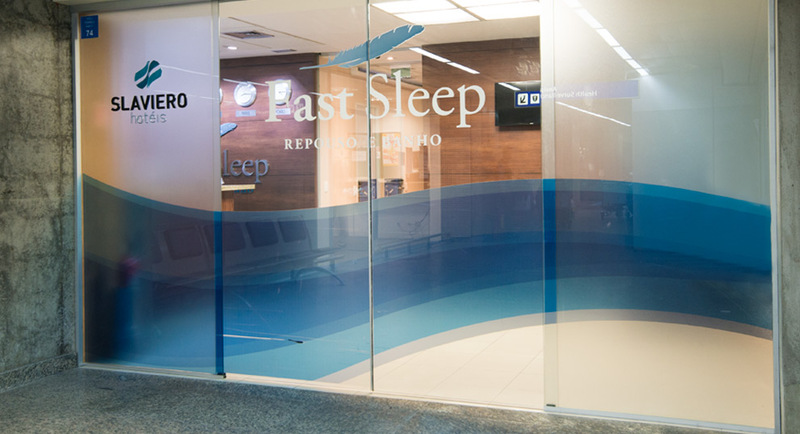 Fast Sleep is located on the ground floor at terminal, close to national arrival. Terminal 1 – Approximately 2.5 km. There is no inner access from terminals 2 and 3 to terminal 1. Access only through a transportation offered by GRUAIRPORT. Transfer GRUAIRPORT entre terminais – Approximately 200 meters;. Located in Terminal 2 – arrival ground – Wing D – east side.